If you live in Carbondale and have the City collecting your trash, you should have a green bin (for paper and cardboard) and a blue bin (for glass, metal, and plastic). If you need bins, call 457-3275. If you don't have City service, you can simply bring recyclables to Southern Recycling, or go to one of the City drop-offs. AND ... if you live or work at SIUC - they will make it easy for you. Why did the City leave my TV on the curb?!?! There is a state law that bans certain electronics from landfills, only allowing registered collectors to collect electronics (not just TV's). Please bring your electronics to Jackson County’s Electronics Program at Southern Recycling. The market has been bad lately. Save them at home or put them in the trash. There is a site in Urbana that recycles only food containers and only if they are clean and dry. City of Carbondale: Affix 4 Special Waste Stickers on each tire (6 if still on the rim) and call (618) 457-3275 to schedule a collection. Buy stickers at City Hall, Schnucks, or Murdale Ace Hardware. outside the city: Many area tire retailers will take small amounts of used passenger car and light truck tires from the public for a small fee. Some of these locations may also be able to remove a tire from the rim for an extra charge. Please call your tire dealer to find out if they will accept used tires for appropriate disposal/recycling. For collection, call Carbondale City Hall, 549-5309, ext. 275. I went to earth911.org, where they say "recycle what?" 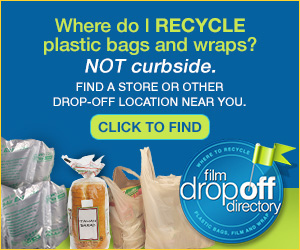 and "zipcode" and they find you the nearest place to recycle stuff. SHRED DAY & MORE! Courtesy of the Jackson County Health Dept. watch for the next one ... April or May? insurance papers, etc.) for on-site shredding. Paper clips & staples do not need to be removed, but please remove any binder clips. Eyeglasses -- Processed for reuse by the Lion’s Club. “Fight the Flu” Flu Shots will also be available in the front building!